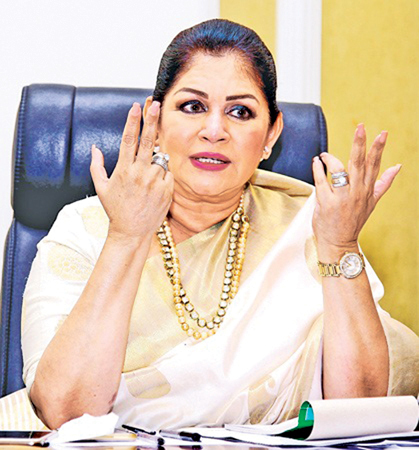 Colombo Mayor Rosy Senanayake stated that when she took office as Women and Child Affairs Minister only 76% of children attained pre-school and this was a matter of concern. Addressing the newly appointed preschool teachers yesterday, she said, “Early childhood learning is very important, one to five years is a crucial age and it’s the formative years. During my tenure, Rs.50 million was obtained from the World Bank to develop pre-schools.With the funds and efforts, the status and standards of the pre-schools improved. It enabled children who weren’t in pre-schools which were around 24% to 26% to attained pre-schools. In fact, I have suggested to the Prime Minister to include pre-school education as free education”. She added, the budget this year has provided for pre-schools and daycares to enable the female labour force from 36 % to 40%, the government has taken a lot of measures and emphasised early childhood education. To have a fruitful nation, the index of skill of children is important and it must start at an early age. It’s pointless starting education, from grade one or six. Twenty four teachers were appointed as pre-school teachers, were given certificates of appointment by the Colombo Mayor at the Colombo Municipal Council.